The Douro Valley has had a run of great vintages. 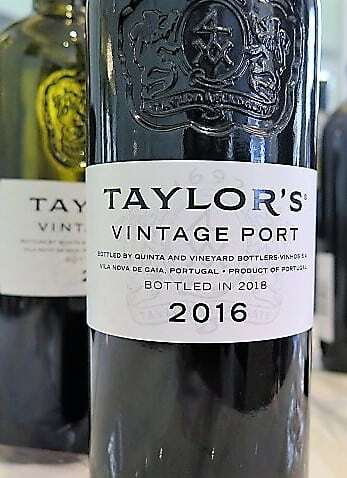 Vintage Ports were declared in 2015 and, last week, I very much enjoyed my first glimpse of 2016 Vintage Port – a widely declared year – featuring Vintage Ports from The Fladgate Partnership, Symington Family Estates and Quinta do Noval. As for 2017, another strong contender, I was sorry to miss Dirk Niepoort’s “Dawn of a New Vintage” masterclass at The Big Fortified Tasting – a pre-emptive strike from the house which didn’t declare Niepoort Vintage Port in 2016. The 2017 vintage port cask sample he showed me was beguiling. 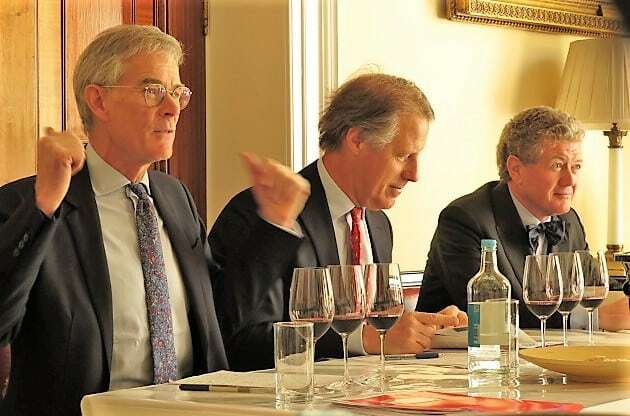 Consecutive vintages are very rarely declared by the big houses but, responding to speculation about 2017 at a pre-tasting briefing hosted with Paul Symington (Symington Family Estates) and Christian Seely (Quinta do Noval), The Fladgate Partnership’s Adrian Bridge intimated a softening of approach. 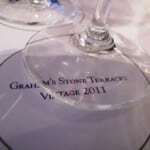 “We probably now take a more reflective view on [declaring] back-to-back vintages,” he said. 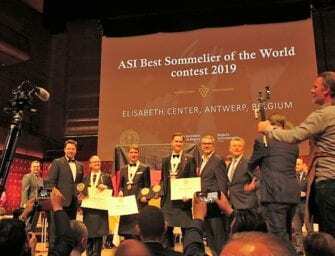 Inevitable, perhaps (where the quality is there), given 2016’s and 2017’s low yields and the significant upswing of worldwide interest in 2007 and 2011 Vintage Ports (the last two general declarations). According to Paul Symington, 2007 and 2011 are trading at two and a half times en primeur prices. A trend which, observed Bridge, reflects low production and higher demand driven by globalisation – The Fladgate Partnership’s export markets have doubled in number in fifteen years – up from 50 to 103 countries. Which brings me neatly to 2016. I’ve preceded my tasting notes with each producers’ take on the vintage and, where provided, given vinification details. However, to summarise, whilst good winter and spring rainfall helped vines to withstand a hot, dry summer, heat spikes of up to 43 degrees in Pinhão resulted in grape shrivel. Those who relied on the long-term forecast and waited out the hot spell were rewarded. A significant, revivifying rain event in September was followed by a mild spell with cool nights, which allowed for slower, gentler ferments. To my mind, these ideal conditions for harvesting and fermenting Port wine have produced a vintage of great purity, with a striking balance of acid, tannin and fruit. The tannins, especially, are of exceptional quality. It allows house style to shine – a real pleasure factor of the tasting. 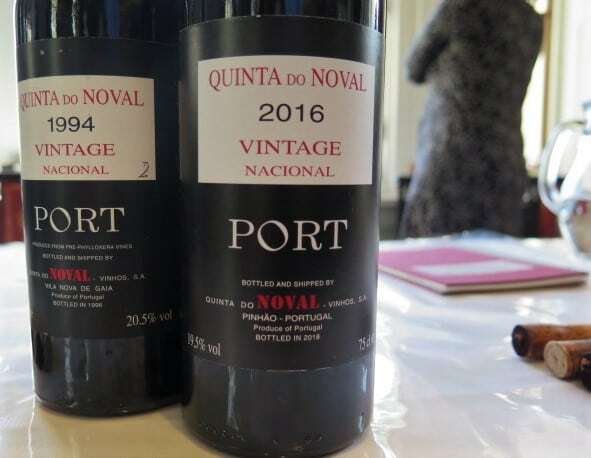 Quinta do Noval Nacional 2016 Vintage Port was my stand out of the tasting. 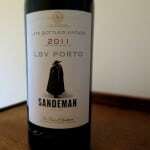 It is such a distinctive and distinguished Port. My other picks of the day (in no particular order) were Graham’s Stone Terraces 2016 Vintage Port, Taylor’s 2016 Vintage Port and Quinta do Vesuvio Capela 2016 Vintage Port. 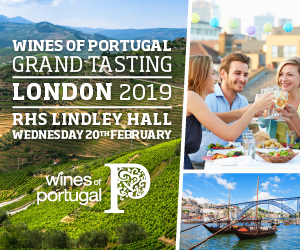 You’ll find my notes on all the houses’ 2016 releases below, which were shown alongside the 2007 and 2003 Vintage Ports (and the outstanding 1994 Quinta do Noval Nacional). From a milder year, the 2007s are developing nicely, showing more palate weight and sucrosity of mouthfeel than on release, whilst retaining elegance. The 2003s reflected the hot, dry year, looking quite raisined, sometimes stewy and hot. Both Symington and Bridge reckon they’re going through a dumb, adolescent phase. Candidly reflecting on whether it was a good idea to show them then, Symington told me his golden rule is to give Vintage Ports’ a 20 year grace period rather than showing them in their “spotty teens.” So hold onto those 2003s! Vintage report (Adrian Bridge, MD, David Guimaraens, Chief Winemaker): AB – “Yields at the 2016 harvest were relatively low and the wine is likely to be tightly allocated.” DG “Picking started later than usual, particular in the Pinhão Valley where the Taylor’s properties only began their harvests in the last week of September.” Referring to the high rainfall earlier in the year, during the briefing Bridge observed that they had to treat the vineyards a record eight times. 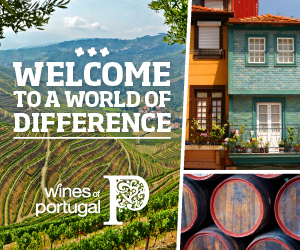 Fruit from Quinta das Vargellas and Terra Feita are the key constituents of this Port. The former is the hotter site (its median temperature is some two degrees higher) and produces the more aromatic fruit, while the latter is earthier, according to Bridge. This is an expressive, bright, elegant vintage of Taylor’s with a striking purity of upfront fresh, well-defined blackcurrant fruit – very poised – with a refreshing leafy edge and white flowers to nose and palate. Really delicious succulence and concentration in the mouth, the tannins plentiful and fine and, initially, immersive, letting the fruit (which is markedly fresh and relatively dry of profile), strut its stuff. Going through, the tannins – mouthcoating salty and schistous – rise, tapering and seasoning the finish which, nonetheless has lovely detail, with a cut of citrus (grapefruit?) and lifted bergamot and violets to the long, firm finish. Less ramrod and less buttoned up than usual, the 2016 has purity and precision without austerity. Terrific, Total production in 2016 stood at around 6,500 cases; 12-14,000 cases is the norm. Vintage report: DG: The harvest of 2016 will be remembered as having started very late. Fonseca’s Quinta do Cruzeiro started picking right at the end of September and Quinta do Santo António at the beginning of October. This was due to the late start to the ripening season and to the long and very even maturation of the crop. Balance is certainly one of the keynotes of the vintage. Whilst the Taylor’s struck me as more expressive than usual, the Fonseca seemed more closed, with a touch of angularity to its dense fretwork of tannins. They are a brooding presence, cloaking the underlying predominantly black berry and currant fruit, though flashes of liquorice, bergamot, orange peel, dried mint and esteva lend nuance and complexity. A second sample is more expressive on the nose, with showier white florals, bergamot, fresh ginger and orange peel. Still, the tannins assert themselves on a somewhat inscrutable, muscular finish, suggesting that this powerful Port has an exceptionally long life ahead. 4,900 cases produced. Shot through with powdery, a touch perky/edgy, tannins and with a herbal riff to its fruit, this is quite a grown up Croft, with a dynamic tannin structure. Nice concentration and freshness to its red and black berry and cherry and blackcurrant pastille fruit. Good length and energy. Vintage overview: The 2015/16 winter was wetter than average, which provided a vital counterbalance to the hot Douro summer. Damp weather continued into May, which caused considerable fruit loss to the unwary. From June, normal service was resumed, and August was very warm although some welcome rain fell on the 24th and 26th. More heat ushered in September, and some started picking although it was clear to those who were properly monitoring their vines that the grapes were not ready. Furthermore, the long-range forecast predicted showers and sure enough invaluable rain fell on the 12th and 13th September. This was the year to read the signs and to take risks; Charles Symington, head-winemaker, delayed harvesting until the 19th September and the best Touriga Nacional was not harvested until the 26th, and the late-ripening Touriga Franca only during the first ten days of October. The greatest 2016 Symington Ports were made during this later period under lovely blue skies. It is not easy in our incredibly diverse region to pick grapes at exactly the right time, especially when yields are amongst the lowest in the world at 26 hectolitres/ha, with high risk of dehydration and when many producers rely on bought grapes and are therefore dependent on farmers for picking. All the 2016 Symington Vintage Ports are made from our own Quinta vineyards where Charles and his viticulture team can be seen every day tasting and analysing grapes throughout August and September. All our Vintage Ports were made in our five small lagar wineries, using the classic treading method for great Port. Quinta dos Malvedos was the principal source of grapes, including superb Touriga Nacional from 30 year old vines at the Valdossa parcel and Sousão from the vineyard’s highest parcel, Altos de Malvedos at 400m. Quinta do Tua’s old field blend Muros vineyard provided great depth and complexity. Other sources included Vila Velha and Vale de Mahaldas, both privately owned by members of the Symington family. Dark blackberry, with white blossom and bergamot lift on the nose. The palate is deep and plush – super supple on the entry and going through – with layers of heady kirsch and cassis, juicier plum and milk chocolate-laced black raspberry and more savoury liquorice and earthier, dustier schist nuances. Overall, it is a fleshy, sweet, toothsome Graham’s, rich and velvety, yet with a persistent, seamless push of juice and scent of white blossom on the finish – notable freshness and energy. Very even, with a lovely integration of acid, tannin and spirit already. 20%, TA 4.49G/L, Baumé 3.8, 6,325 cases produced. The Stone Terraces (also produced in 2011 and 2015) is sourced from two consistently high performing small stone terraced parcels at Quinta dos Malvedos (collectively they represent just 2% of production in 2016) which differ in aspect (Malvedos is predominantly south-facing) and, in consequence, receive less direct sunlight. Parcel 43/Port Arthur (1.2ha) is east-facing so benefits from direct morning sun only (though its schist walls retain the morning heat and radiate it back onto the vines), while Vinha dos Cardenhos (0.6ha) is north-facing. Touriga Nacional predominates, but the vineyards have a mix of traditional varieties. 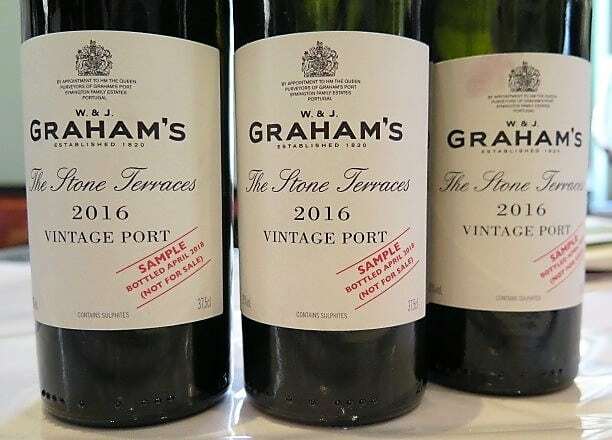 As you might expect given the cooler aspect of The Stone Terraces’ vineyards, this vibrant purple Port’s tannin structure is quite different from the Graham’s Vintage Port. Where the Graham’s is opulently, sweetly fruited with super-supple tannins, The Stone Terraces plays its cards closer to its chest. Tight knit blackcurrant fruit shows hints of bitter chocolate, fresh mint and violets. A fabulous shower of fine, powdery, mouthcoating tannins builds unrelentingly in the mouth, making a long lasting impression – many clock ticks to the finish and, doubtless, vis a vis its ageing capacity. Stunning. 20%, TA 4.76g/l, Baumé 3.8, 4,200 bottles produced. 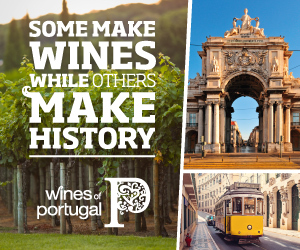 Quinta do Bomfim and Senhora da Ribeira lay the foundations for this Vintage Port, picking starting on 19 & 21 September respectively. Indispensable components included Vinha dos Ecos (the mainstay) planted in 1988 at Bomfim, where mature Touriga Franca vines yielded a measly 0.68kg/vine, Vale Botelhos next door for its Sousão fine acidity and colour and, from Senhora da Ribeira, exceptionally ripe grapes from Vinha Grande at 200-450m and Zé Barqueiro by the river, whose Alicante Bouschet provided great structure and weight. 48% Touriga Franca, 31% Touriga Nacional, 11% Sousão, 6% very old vines, 4% Alicante Bouschet. Nearly 50% of Warre’s 2016 comprises old field blend grapes from Quinta da Cavandinha and Quinta do Retiro; Quinta da Telhada supplied superb floral aromatics from Touriga Nacional (37%) and Touriga Franca (17%). Very different to the 2015 release, this is much grippier and dry, with a sense of heat and dust, that heat most definitely fiery, like fresh ginger. Lovely depth and concentration to its black currant and berry, strawberry and black raspberry fruit. A long, tapered finish reveals cool, very precise iron filing tannins, the foil to that fiery ginger heat. Dynamic and characterful, it packs a punch – a really interesting glass. 20%, TA 4.42g/l, Baumé 3.65, 2,450 cases. The grapes were sourced solely from Quinta da Madalena in the heart of the Rio Torto Valley. It comprises most old field blend grapes, from super shy yielding vines (200g/vine); the balance of the vineyard is planted to Touriga Franca. Smooth and velvety on the attack, with ripe, fleshy plum and pronounced bergamot oil. Going through, spicy liquorice notes, a touch chewy, build on the palate. I’m reminded of a ‘punchy’ childhood encounter with Little Imps Liquorice. The moral of that story is never raid the glove compartment for your parent’s ‘sweets.’ Not the harmony or finesse of other wines in the line-up, but maybe the childhood memory impinged?!? One to review. 20%, TA 4.26g/l, Baumé 3.65, 1,500 cases. This is only the second Vintage Port released from this quinta since it was acquired by Prats & Symington in 2009. 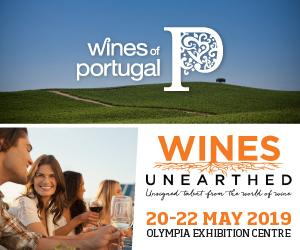 As I’ve mentioned in connection with the partnership’s Douro DOC (unfortified) wines, this site produces great minerality of expression. 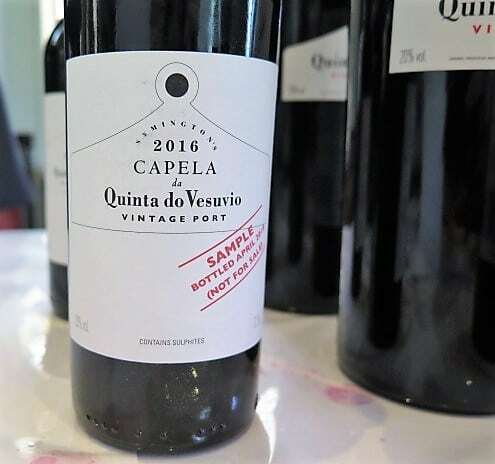 A core component came from 30 year old Touriga Nacional from Vinha do Canavial “which brought complexity and gorgeous floral aromas.” It was complemented by our old friend Sousão for “freshness and focus;” Symington mentioned Sousão in the briefing as a key player in new plantings. Vale da Teja represents the backbone, representing 80% of the blend, with 43% Touriga Nacional, 25% Touriga Franca & 12% Tinta Amarela. Castelos provided the Alicante Bouschet (17%), while Vinha do Pombal provided guess what – Sousão (3%). The third Capela since its first release in 2007 hails principally from the Vinha da Capela vineyard’s low yielding vines (just 330g/vine). The lower Vinha de Escolha vineyard made a key contribution, with Sousão and Alicante Bouschet. Vale da Teja’s west-facing Touriga Nacional and Franca vines completed the blend. Boom, then zoom. A bold nose, still a touch raw and spirity, offers heady kirsch which follows through on a very cherry palate – the kirsch, yes, but also black cherry jam, cherry almond pie, with bouncy, exuberant blackcurrant. With ripe but fresh, juicy acidity, svelte fruit and a fretwork of fine but firm lacy, filigree tannins, it has lovely carry on a long, long finish with mint, liquorice and fresh ginger notes. Terrific persistence and layer. 20%, TA 4.51g/l, Baumé 3.4, 3000 bottles, representing 1% of Vesuvio’s production. Vintage overview (Christian Seely): It was a year of extremes: a warm winter with a high rainfall, at 618 mm twice as much as in an average year. After a wet spring, summer was very hot and dry, with some peaks of heat in August and September. By the end of August, the harvest looked extremely good, in excellent sanitary conditions, but ripening began to slow down due to the very hot and dry conditions. Fortunately 17mm of much needed rain fell on 13th September, and maturation continued in ideal conditions from this point onwards. 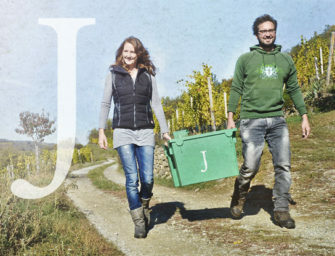 The main part of the harvest began on 19th September in dry and sunny weather, and the fruit continued to ripen throughout the harvest period. We were able to harvest each plot in ideal conditions as ripening continued. In spite of the unusual and extreme climatic conditions of the year, the end result is of outstanding quality. The wines are balanced and fresh, with excellent structure, very intense bright fruit and aromatically very expressive. The Nacional as usual has a personality all of its own, considerably more reserved than the Quinta do Noval, with a brooding powerful tannic structure that promises very long and great ageing potential. Although Quinta do Noval is a single quinta Port, the estate’s 133ha of vineyard fall into three distinct major parcels. The principal site, which produces pure, fresh wines, surrounds the winery in Pinhão. 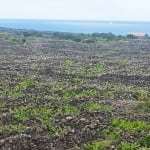 There is a significant parcel in the Roncão Valley which, said Seely, “looks and feels different – the schist is a different colour and harder,” he said, recounting the bigger budget for dynamite. The third key parcel overlooks the Douro river. Every year, the blending proportions are different, save for Quinta do Noval Nacional. In 2016, Touriga Nacional, Touriga Franca and Tinto Cão, Sousão grapes were trodden by foot to obtain the must, then during fermentation macerate to obtain the best possible extraction in the lagares, the traditional stone vats from the Quinta. The Port was matured for 18 months in wooden casks in the air-conditioned cellars of the Quinta, at the demarcated region of the Douro Valley before bottling. I initially tasted this wine at the briefing, together with the Taylor’s and Graham’s, before I embarked on the main tasting. From the off, it came across as earthier, with spice and sinew – not such overt fruit. But the fruit is intensely clasped, like pith close to the peel or flesh close to the stone/bone. With time in glass red cherry and cherry lips (slightly medicinal sweets) and blackcurrant notes emerge, together with bitter chocolate and liquorice. With a palpable sense of dry extract in the mouth, the finish features mouthcoating, spicy tannins with the same coolness of delivery as the (straight) Noval 2016, albeit with much deeper (vertiginous) layers. When I went back to the glass at the end of the briefing, I found the pretty scent of orange blossom on the finish. In the main tasting, I found the lavender-kissed red fruits (especially cherry, cherry lips) more emphatic. As was the spice –Tinta Cão-driven and incense-like, I fancied. Terrific mineral presence and precision, the finish like a long, clean throw of the javelin, with piercing intensity. Decades in hand. Wow, wow. 19.5 %, Total sugar: 85g/dm³ Total Acidity: 4.96g/dm³ Ph: 3.50. Just 120 cases produced. Quinta da Romaniera is privately co-owned by Christian Seely, Quinta do Noval’s MD; Winemaker António Agrellos consults at both properties. The first Vintage Port was made in 2004, the year of acquisition, since when the vineyards have been renovated and a winery built. The Romaneira has attractive, bouncy bergamot notes to nose and palate with a herbal riff/stalky edge to its ripe, sturdy black currant and berry fruit. Gritty tannins make for a dry impression. Solid, but not as accomplished as the other Ports in the line-up. Great report, as usual (and really coming up very soon :-) ). Many thanks!! Hi Sarah, thanks for your answer (while I was traveling back from Portugal/Azores I didn’t see it earlier). Very good to hear that Pintas VP ’16 was a cracker again: Sandra is not only an old (?) 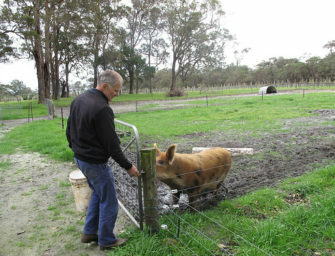 friend but also a great winemaker! By the way: the Azores were really smashing and unforgettable! !